Further Comments: Two poachers shacking up in a bothy reported being attacked by a creature that attacked and drank blood from one of them. The pair managed to fight the creature off, and it flew away. The story is very similar to the vampire tale that happened at Fealaar, Aberdeenshire. Further Comments: This phantom dog, said to be huge, patrols the road. Its presence makes normal dogs nervous and horses shy. Further Comments: Lady Jean Drummond used witchcraft to seduce and marry the local laird, but those who taught her the magical arts came and abducted Jean on the wedding night. She now sings sad love songs from the tower, and has been seen passing through the castle. Further Comments: Strange sobs have been heard coming from empty guest bedrooms, and hollow footfalls fill the air. Further Comments: The water horse in this loch was blamed for the deaths of children who were attempting to cross the water. Further Comments: This phantom woman, dressed in a flowing green dress, wanders the corridors looking for her lost love who perished in a snow storm. Further Comments: Polish troops based at this house claimed the tower was haunted by a white woman. The tower was demolished in 1963. Further Comments: While waiting alone in the bar, a witness watched a man in a tweed jacket walk through the wall and, after taking a couple more steps, vanish just as the landlady entered. The witness told the woman what he had seen, and she said that she too had seen the figure. The wall he had passed through where the original bar door was before refurbishments. Further Comments: This poltergeist has spent almost twenty years pushing items from shelving when no one is near, opening and closing doors, and flicking the light switches. Further Comments: The stump of a tree which fell during a storm in December 2011 has become known as a place for wishing. Pennies are hammered into the wooden remains in exchange for good health. Further Comments: This pair of old women continue to natter away years after the death of the flesh. Further Comments: This hotel was reputedly haunted by a woman wearing an old dress. She would be seen always entering a certain bedroom, but never to leave. She was reputedly seen by a Dutch visitor in 2003. Further Comments: A Brownie left this residence in disgust after the homeowner left some new clothes out for the entity to wear. Further Comments: The laird's wife died under strange circumstances in the early sixteenth century, sightings of her ghost convincing many she was murdered by her husband. Further Comments: The history of this phantom female is unknown, but speculated to have been murdered, or was a murderer, or could have been a nun. Or all three. Or none. 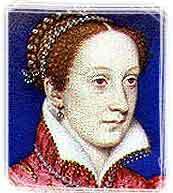 Further Comments: The Queen of Scots reportedly haunts the building where she signed her abdication. Further Comments: The minister of the building managed to recover his Bible without too much harm being bestowed upon it, after an invisible presence threw the book in the fireplace. The spirit would tear clothing, and hide pins and needles in cooked foods. Further Comments: During life, the tinker was found and hanged for trespassing - his ghost is now seen around the trees near where he died. Two more spirits, carrying the cute names of Crooked Davie & Green Jane, are rumoured to haunt the castle grounds. The sound of screaming has also been reported here. Further Comments: Complete with long white beard and golden sickle, this figure haunts the area where his temple stood before the manse was constructed. Do not mistake this ghost as being overly quaint, as the screams of human blood sacrifices can be heard from the same area after dark.